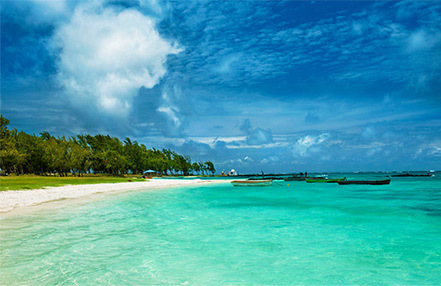 Constance Belle Mare Plage stretches along 2km of stunning beach on the east coast of Mauritius. This 5-star family-friendly resort amidst 37 acres of lush tropical gardens, offers a total resort experience for all holidaymakers. There are 256 superbly designed rooms, divided into Prestige Rooms, Junior Suites, Deluxe Suites and Pool Villas. Titillate your taste buds and delight your eyes at the seven restaurants and six bars that offer everything from fine dining experiences to burgers and salads while you relax on the beach. Guests can even learn new culinary skills by booking cookery classes by first-class chefs. The hotel boasts a family-friendly environment side by side with high-standard sport facilities like 2 international 18-hole championship golf courses, tennis courts, water sports and a fitness centre. The Spa de Constance invites guests to unwind with various massages or natural therapies and beauty treatments from the Shiseido range. While parents relax, children embark on their own adventure at Kakoo, a dedicated playground and the free all-day mini-club. Combining space, style and functionality, the 92 Prestige Rooms are situated at the southern end of the resort. All beach facing, these lovely rooms are set on 3 floors (ground, first and second), and prove particularly popular with families. There's enough space to sleep 2 adults and a child, with interconnecting rooms available for larger families. The spacious bathroom with fabulous bath and walk-in shower adds an extra dash of luxury, while some of the rooms come with views across the swimming pool. Each room has a private balcony, where you can soak up the views of the Indian Ocean. Relaxed beachside lunching is right on your doorstep at the daytime La Kaze restaurant, serving a family friendly menu of light snacks and meals. Deluxe suites offer spectacular ocean views, and are tucked away on the southern edge of Constance Belle Mare Plage. With the added luxury of a separate living room, these suites are the perfect choice for those looking for a little more space or the option to connect to a prestige room, making them ideal for larger families. If you're looking for the convenience and facilities of a resort combined with the privacy of your own holiday home, then the 20 villas at Constance Belle Mare Plage are just the ticket. Set amidst small lakes, frangipani and coconut groves, these double storey villas evoke romance and tranquility. For families, the villas are ideal as they offer beautifully designed features, functional living and plenty of space. The large living area opens onto your own landscaped garden and plunge pool, where you can while away your days, or take a few steps onto the beach beyond. The 2 double bedrooms are situated on separate floors, meaning parents can enjoy some well-earned privacy while the tinies sleep upstairs. From organising activities, to arranging a special dining experience on the beach, luxury service doesn't come much better than this. Enjoy your own private corner of Constance Belle Mare Plage in the luxurious Presidential Villa. Privacy and seclusion is guaranteed in this large 2 storey villa set on a quiet section of the resort’s idyllic white sand beach. Lie by your own pool, stroll in your own garden and chat with friends into the night on your own beautifully furnished terrace. Inside the feeling of spaciousness continues in the elegant décor and high rafted ceilings. On the ground floor, you'll find 2 bedrooms with stunning outdoor bathrooms as well as a large living and dining area, and kitchen. On the first floor is the luxurious master bedroom and vast en-suite bathroom. Relax and allow the two villa masters to take care of your every need. Spacious, beautifully proportioned rooms with a contemporary wood and marble design. The 137 newly built Junior Suites include 41 situated right on the stunning, sheltered beachfront. These luxurious suites feature huge beds, comfortable seating, fabulous bathrooms, baths deep enough to swim in and walk-in showers.Generous balconies are furnished with an oversized sofa and chairs, for unparalleled daytime relaxation or romantic star gazing late into the night. Perfect for couples, inter-leading suites that are ideal for families are also offered, as well as 2 Junior Suites catering for disabled guests. The fine dining experience at the Blue Penny Café offers food of exceptional quality, served with some of the best international wines you'll find in the Indian Ocean. Setting the culinary standards for Constance Hotels Experience, the Blue Penny Café showcases the talents of leading chef Frederic Goisset, and talented sommelier Yann Hangouet. Matching the standards of top European restaurants, the Blue Penny also regularly welcomes some of the great Michelin-starred chefs to its kitchens.Guests can enjoy the rare opportunity to visit the wine cellar before choosing from the outstanding wine list. Our range of Cotes du Rhones are of particular note. La Citronnelle Restaurant offers a delectable selection of buffet dishes from around the world. Set at the heart of the resort, overlooking the beach and infinity pool, you can enjoy a sumptuous buffet at breakfast, lunch and dinner. Behind their cooking stations, chefs whip up a multitude of dishes to suit individual tastes and requirements, using only the freshest ingredients. Each evening you can travel the world gourmet-style - from tropical to Italian, delicious grills to freshly caught seafood. Some of the most popular dishes include Mauritian curry, grilled fish fillet laced with olive oil and pasta. Chef Noel and Maitre d'hotel Christian have become popular figures as has Chef Thierry Lerallu, for his fabulous desserts.A wide choice of wine is available by the glass, and meals at La Citronnelle are included for half board guests. Tucked away in a secluded spot behind the private villas, La Spaggia is something of an institution in Mauritius and a favourite haunt of a number of local residents.Its location makes it the perfect dining spot for those staying in the villas but it's also open to all guests staying at the resort. Overlooking a particularly beautiful section of the beach, with unbroken views across the ocean, this is a romantic, relaxing place where you can enjoy some beautifully prepared but unfussy dishes. It's also the perfect spot for couples if you want to savour a few moments while your youngsters play on the beach nearby. At lunchtime, the menu features salads and Mediterranean-style dishes, while in the evening you can sample the flavours of the French Riviera, Italy and the Mediterranean coastal rim. Once a week, La Spiaggia hosts the ever popular Lobster evening, where you can try a range of dishes created with the freshest lobster caught that day. A favourite haunt of Mauritian fun-lovers and pleasure-seekers, the Deer Hunter looks out across the Legend Golf Course. Chef Rajesh Payanandee is renowned for introducing guests to the delights of his island's product, recipes and spices. Based on traditional Mauritian methods of cooking, Rajesh has developed a truly local cuisine, richly influenced by the island's diversity. By day, the Deer Hunter is the place where golfers sit down for a light lunch - sandwiches, aubergine panini and hearty salads. In the evening, the menu features Mauritian specialities. As the sun goes down, the deer that roam the golf course can often be seen wandering gracefully into the lake or surrounding trees. This is truly a magical site, perfect when accompanied with an aperitif before dinner. Stunning views and light tasty snacks and salads are what make The Swing so popular. Situated at the Links' golf course club house, this delightful restaurant bar offers an understated choice of salads and sandwiches. Perfect with a cold beer or glass of wine after a long day on the championship golf course. 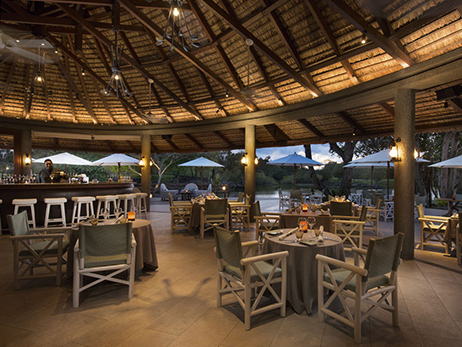 With the sea at your feet, this poolside bar and restaurant provides the idyllic setting for a light and tasty meal. Just what you'd expect from a restaurant that nudges the water's edge, there's a great choice of dishes including grills, salads, burgers, sandwiches and fresh juices. Chef Grel's pizzas and sushi platters are also hugely popular. In the afternoon, Indigo has established a reputation among food-lovers, and children especially, for its pancakes and ice cream sundaes, prepared in front of your very eyes. Something simple? La Kaze is just the place for you. Every day, Chef Marcelino is there to welcome you and prepare something freshly for you in dishes featuring Creole flavours and the savours of the Indian Ocean. Bordering the beach, La Kaze has the typical friendliness and sense of enjoyment that are part of the Mauritian approach to life and cuisine. During high season, a buffet BBQ is also available for relaxed eating barefoot in the sand. At Constance Belle Mare Plage dare to dream big, feel free to express your most quixotic wedding wishes, and let the devoted team of professional and enthusiastic members to do its magic. You will be glad to know that at Constance Belle Mare they love to accommodate special requests, and no expectation is ever considered impossible. Constance Belle Mare is a 5-star hotel with exquisite restaurants, an array of sea and land activities to choose from, and first class premises for a stay in the lap of luxury. Constance Belle Mare is located along one of the best beaches on the heavenly serene east coast of Mauritius where your love will prevail and grow deep roots. With three equally compelling wedding packages, Constance Belle Mare Plage will make sure everything is absolutely perfect while you enjoy your most intimate day. From bridal bouquets to gourmet menus and thrilling live entertainment, everything will reflect your standards and aspirations. The Wedding Light Package is casual and airy but without lacking in amplitude when compared to the other two packages. 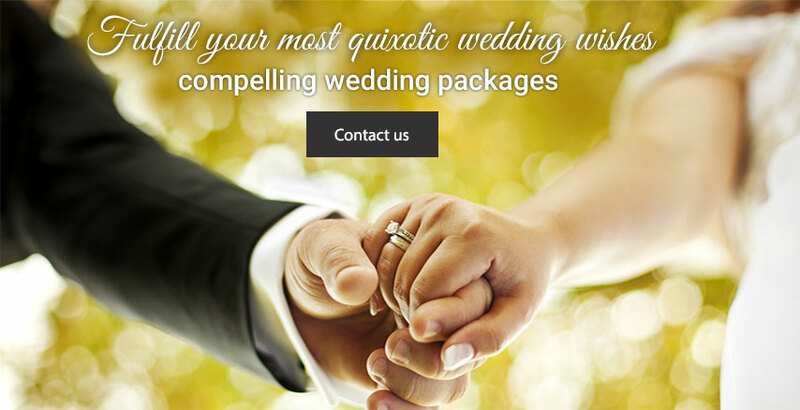 As in every Constance wedding package, your celebration will be the hotel’s number one priority for the day without other wedding bookings in the queue. Your dedicated wedding coordinator will take care of the location, the set-up and the food and beverages while your only worry is to bring your smile, show your love and hold onto this ethereal happiness forever. Couples in search of a slightly more ostentatious wedding day can upgrade to the Wedding Delight Package. The bride-to-be will be pampered in the privacy and convenience of her own room while the groom-to-be is rehearsing his vows grabbing inspiration from the tropical surrounding of the turquoise lagoon and the endless sandy beach. The wedding ceremony is accompanied by live music performed by a duo, who will add an extra tone of romance and glamour to your already very tender moments. After what it will be the most romantic dinner of your life, it is possible to upgrade your room, and spend the night of your wedding like royals in what it is the best alternative to a palace. If you wish to make the most of Constance Belle Mare Plage, enjoy the Wedding Infinity Package, which offers everything generously when it comes to planning the perfect wedding day. The master-chefs will deliver a fine dining experience for the newlyweds with dishes that can be accompanied by exclusive wines from the Constance’s wine cellar. French champagne and canapés, wonderful wedding cake and background music performed by a trio of live musicians will make it all a bit more exceptional. But with the Wedding Infinity Package the special treatment isn’t over when the celebration lights go down. You are encouraged to continue the festivities in the privacy of your room, which will be upgraded and turned down on your special first night as a married couple with champagne and flower petals on the bed. The dream has no ending with the Wedding Infinity Package at Constance Belle Mare Plage. The morning after the wedding you and your partner will be catered to a special breakfast served with two glasses of champagne. And if you wish to escape into a place where you can recollect the memories of your most precious day, the U Spa is perfectly designed to rejuvenate you and help you find your equilibrium. Constance Belle Mare Plage nobleness and cordiality is also evident through an array of optional wedding services, such as drinks, decorations, beauty treatments for the bride and groom-to-be, entertainment and photography services that will satisfy even the most impulsive and utopian wishes. Constance Belle Mare Plage is a stylish 5-star resort that offers comfortable accommodations in a lively and cozy atmosphere. It is situated on the soft white sand and a step away from the turquoise lagoon on the heavenly serene east coast of Mauritius. The resort is composed of 104 Prestige Rooms, 149 Junior Suites, 6 Deluxe Suites, 18 distinctive Villas and the Presidential Villa, and offers to every guest the opportunity to indulge into something new and unique. Whether you are dreaming of a relaxing time on the beach, indulging into freshly prepared edible compositions, working out at the gym, pampering at the spa or enjoying water sports, Constance Belle Mare Plage will make sure that your stay will be pleasantly unforgettable. If you and your better half wish to seclude your love, you can absolutely find anything you need in the premises of Constance Belle Plage for the best time of your life. Set along a stunning 2km white sand beach, in a sheltered bay, the resort is a harmonious combination of tropical environment, chic and comfort. Even the most hard to please palates will be delighted with the variety of dishes and flavors served in the seven distinctive restaurants. For signature cocktails, freshly squeezed juices and hearty milkshakes, quench your thirst at one of the six hip bars situated at prime locations. And for an ethereal rum experience, there is a 10-meter long bar counter awaiting for you at The Bar with over 200 rums from around the world. Constance Belle Mare Plage is situated in the village of Poste de Flacq on the east coast of Mauritius -an area where natural beauty prevails and traditional Mauritius reigns. If you like to experience the local life and Mauritius’ multicultural and friendly population, the Flacq market is a great place for souvenirs, clothes and scrumptious street food. On the other hand, if you wish to enter the heart of an exotic environment, be surrounded by beautiful trees and listen to the songs of rare bird species, visit the Bras D’Eau National Park on the north of Constance Belle Mare Plage. In close proximity you will enjoy stretches of several kilometers of white sand called the Belle Mare Beach. 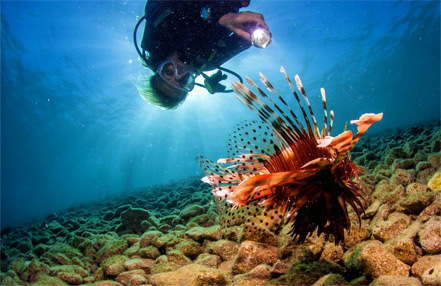 It is a shallow bay that offers some of the best snorkeling experiences in Mauritius. Enveloped in the coral reef, Belle Mare Beach is covered in fine white sand that contrasts the crystal-clear water. A stone’s throw away from Constance Belle Mare Plage is the Sagar Shiv Hindu Temple. The temple is located on the Ile de Goyaves de Chine (Chinese Guava Islet), and surrounded by the sea, is an ideal place of serenity and contemplation. 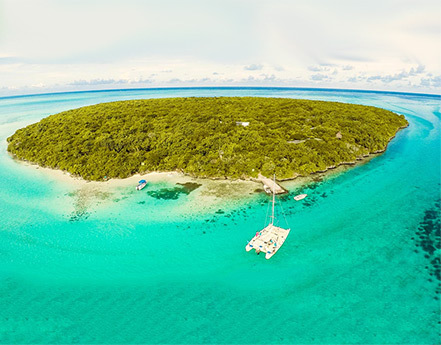 Not very far away from Constance Belle Mare Plage is the magnificent island of Ile aux Cerfs surrounded by the turquoise waters of the Trou d’Eau Douce lagoon. The island is one of the most visited places in Mauritius thanks to its crystal-clear waters, the palm-fringed beaches and the wide selection of water sports activities, as well as the outstanding golf course. Restore your mind and body equilibrium with a choice of 2 beautiful spas at Constance Belle Mare Plage. Enticingly tucked away from the hub bub of our restaurants and bars, Spa de Constance oozes calm and tranquility as soon as you walk through the door. With a focus on holistic treatments inspired by the natural elements, our therapists blend ancient traditions with the latest techniques using oils, herbs, volcanic clay and more. At Shiseido spa, you can indulge in treatments that energise your body and mind, restoring harmony to your senses and leaving you with a heightened state of well being. Mini Golf - Fully equipped gymnasium - Table Tennis - Petanque - Beach Volleyball - Golf (two 18-holes championship golf courses) , green fee free of charge, club cars payable. 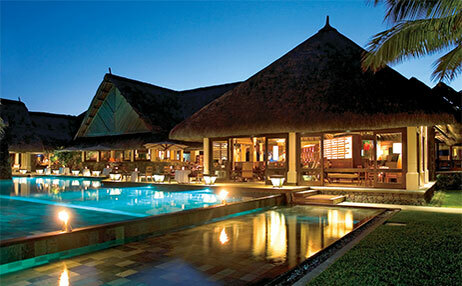 The Kakoo Club at Constance Belle Mare Plage is the place to be for children aged between 4 and 12 years old. This is where they make new friends, discover new adventures and enjoy a large variety of leisure activities under the supervision of a professional team. All rooms at Constance Belle Mare Plage, from the standard rooms to the suites and villas, is comprehensively equipped with quality amenities for babies and children such as cots, bathtubs and walkies-talkies as well as lots of toys! The resort offers a 24-hour babysitting service (payable), high chairs and special menus for babies and children in the restaurants and car seats for excursions on the island. Constance Belle Mare Plage is convenient for the whole family!